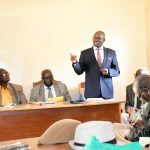 COUNTY DIRECTORS FOCUS ON PERFORMANCE AS THEY SIGN PERFORMANCE CONTRACTS. 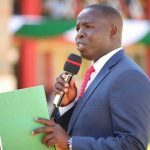 Directors drawn from all the departments in the County Government and Sub County administrators signed a performance contact with their respective Chief officers in an bid to boost service delivery to the residents of Nandi County. 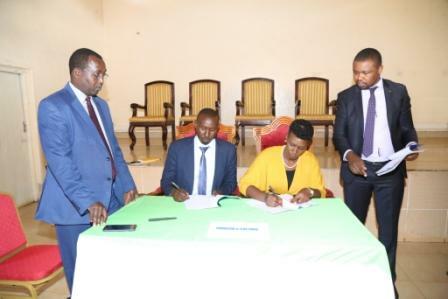 The performance agreement that binds the directors and their supervisors were signed in the presences of the the County Secretary Dr. Francis Sang and the Chief Officer in charge of Public service Management Grace Sugut. 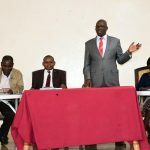 The County Secretary, Dr. Francis Sang urged the Directors and Sub County Administrators to move with speed so as achieve their performance targets. On her part Sugut said that the other lower Cadre staff’s performance appraisal will be a used as a tool for measuring performance and that proper reporting tools have been established by her department.